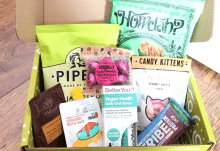 This is a brand new company, and this is their second box. 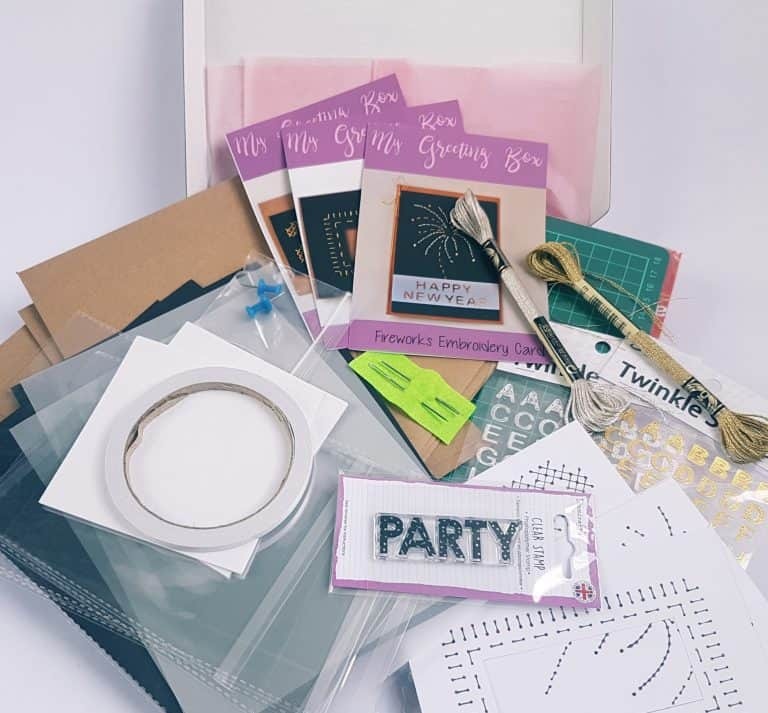 November’s box was Christmas cards, and this one, December, has all the things you need to make three beautiful New Year cards. 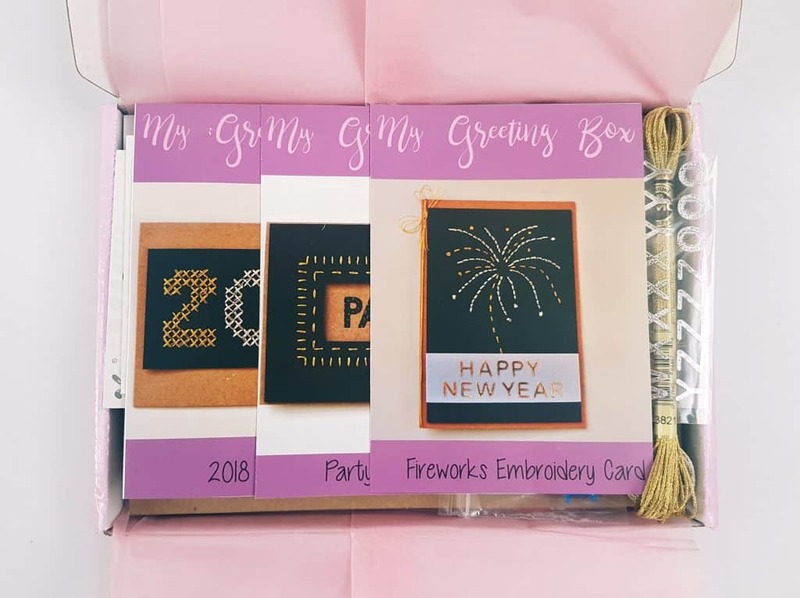 Last month’s box was wonderful, and I’m intrigued to see what they have in store for New Year cards. 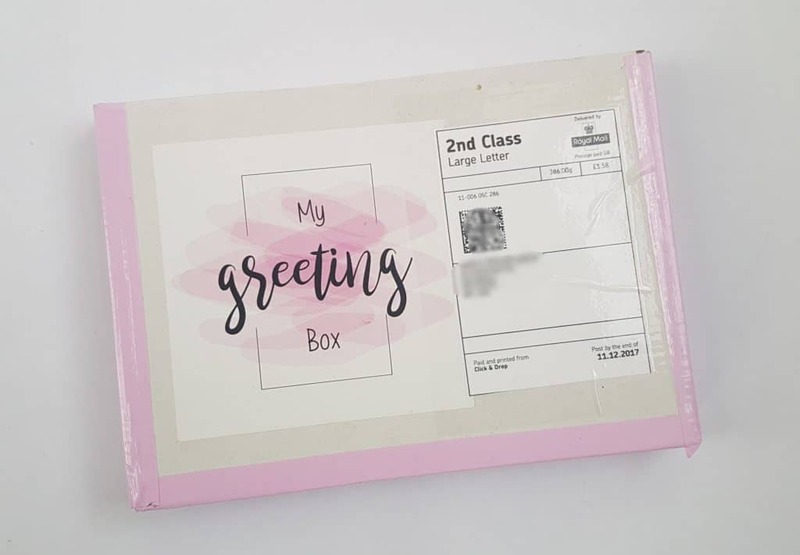 It’s a lovely box, the brand stickers looks great, and the pink tape is a great touch! It’s flat enough to fit through the mailbox. 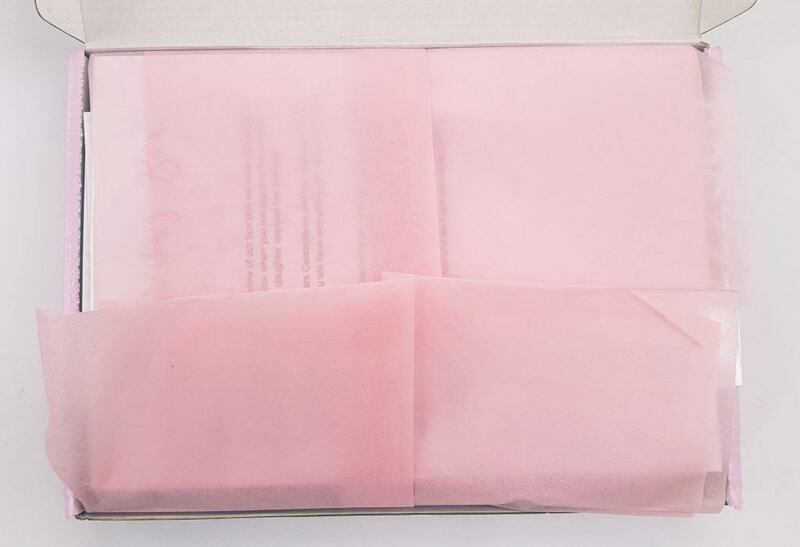 It’s very nicely packaged and laid out. Here are the three projects in this pack. The technique used this month is embroiderary! The instructions are superb; incredibly detailed and the illustrations are very clear. Here’s all the paper and card supplies! 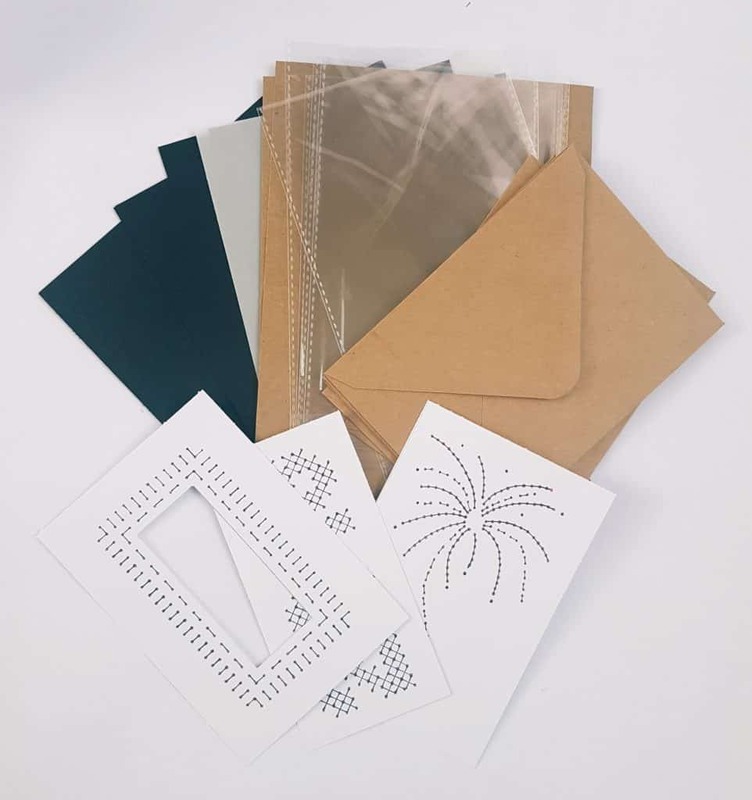 Design templates, five blank cards and envelopes, clear envelopes for the cards, plus lots of extra black paper! 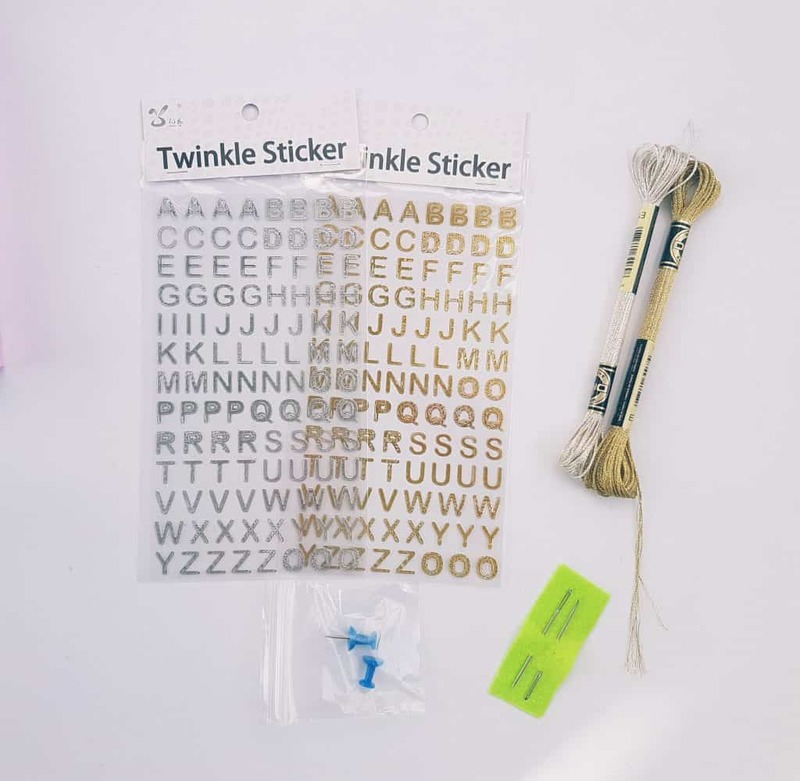 Gorgeous letter stickers, needles, plus the gold and silver thread. Again, there’s far more than you need for the three projects. The pushpins are for making the holes! 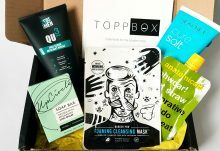 This box includes a small craft mat! These are incredibly useful in general, and essential when you’re poking holes in paper. 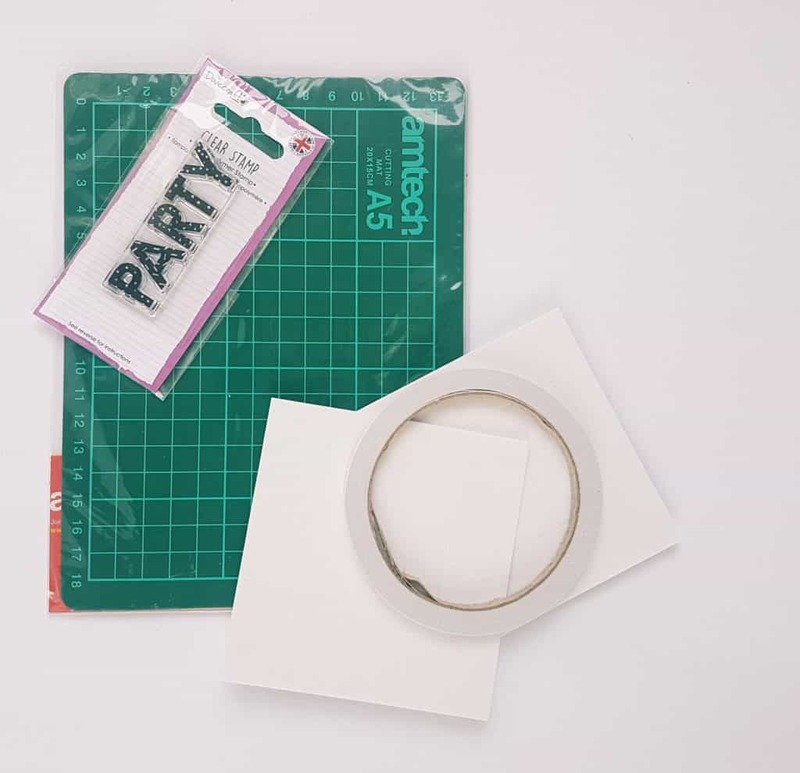 The PARTY stamp can be used with the acrylic block in last month’s box. Also foam tape and pads. Individual hand made cards usually cost around £3 or more (depending on how elaborate they are) at craft fairs and things. Apart from the supplies, you are also getting three very well-thought-out tutorials. As well as the designs themselves you get someone effectively teaching you a new skill, which you can then continue and expand! I love that not only do you receive enough things to make the actual cards, you get supplies you can use again. 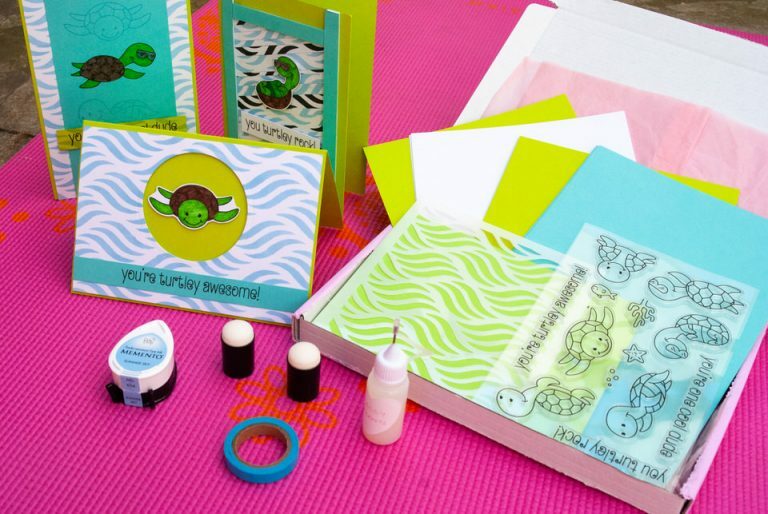 The card designs themselves are also a great jumping-off point for creating your own cards, and being guided through the given designs gives you confidence (and supplies!) to make your own ideas. I think this is excellent value for money. 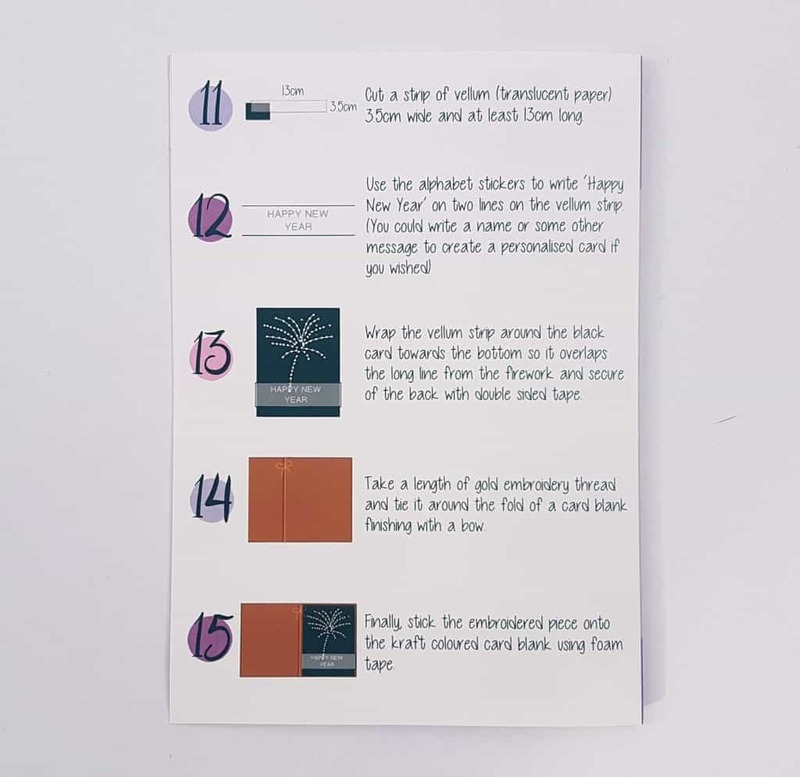 You’re not simply paying for cards, you’re paying for the creative process and the helping hand to do so, plus all the bits and pieces you need. 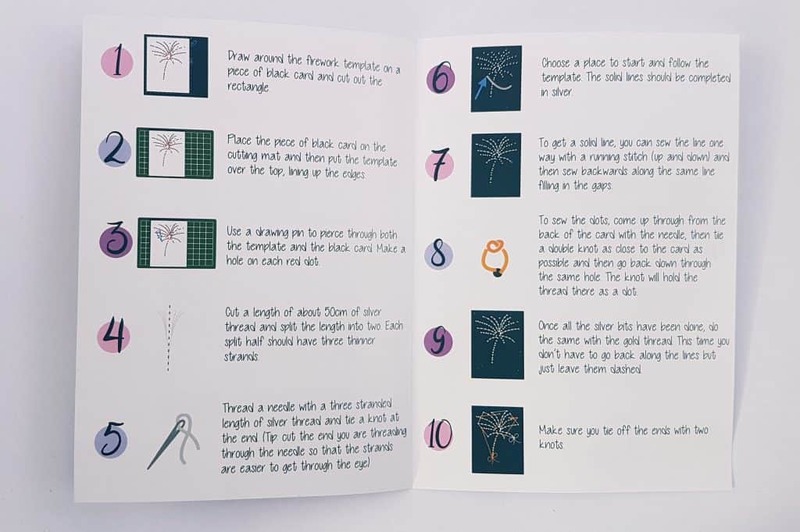 If you’re a person who has looked at the gorgeous cards at craft fairs and thought ‘I’d love to do that, but I’ve no idea how’, then this would be absolutely wonderful. It’s also terrific for starting (or expanding!) 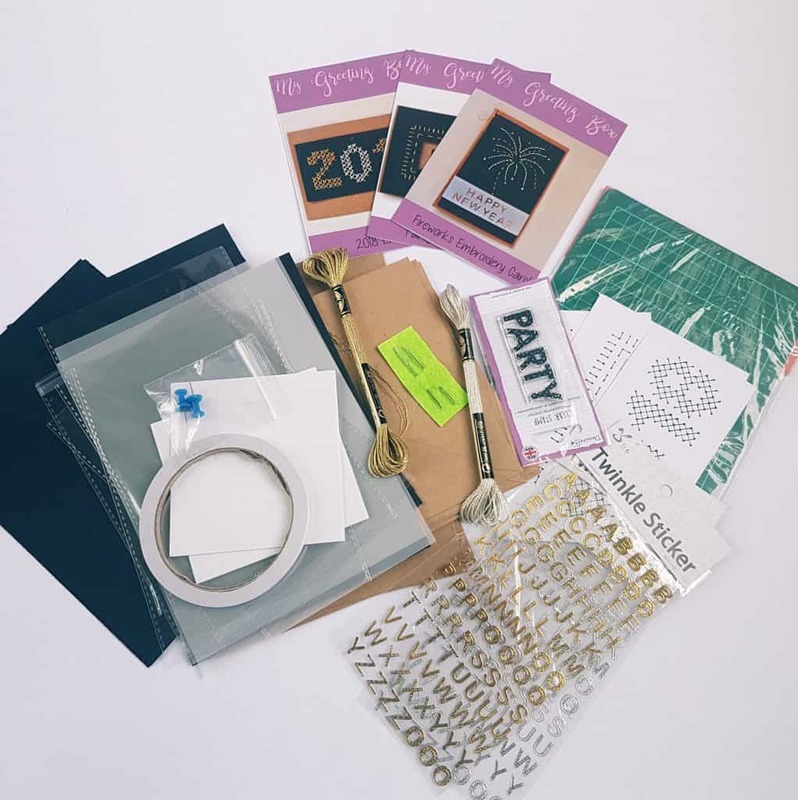 your own little stock of craft and stationary supplies. Of course, this would also be perfect for a friend or family member who needs a bit more crafty fun in their life! I’ve never sent New Year cards before, but I’m feeling inspired to do so now!